Apple was the “star performer” in the mobile phone market in the first quarter of 2015, driven by its strength in China, according to figures from Strategy Analytics. The US company saw its iPhone shipments increase 40 per cent year-on-year to 61.2 million units, with the research firm stating that the iPhone 6 line is “flying off the shelves in China and the United States, its two biggest markets”. While Samsung saw its shipments decrease to 99 million units from 113.0 million units, this still gave it a healthy market share lead (22.2 per cent, compared with 13.7 per cent for Apple). The company said in its results call today that it expects volumes to remain stable in Q2, although a share will come from its (more lucrative) newly-released Galaxy S6 premium device line. Microsoft took third spot, although its 33.7 million mobile phones was down from 47 million in the prior year, giving an all-time market share low for the former Nokia business (7.6 per cent). “Microsoft continues to lose ground in feature phones, while its Lumia smartphone portfolio is in a holding pattern awaiting the launch of new Windows 10 software later this year,” Neil Mawston, executive director at Strategy Analytics, said. As a whole, global mobile phone shipments grew 8 per cent year-on-year to 445 million units, driven by “healthy demand for 3G and 4G models across Asia, Africa and the Americas”. While the gap between Apple and Samsung is smaller when excluding feature phone sales, the companies hold the same positions, after Apple’s brief reign following the launch of iPhone 6. But while Apple’s volumes have increased year-on-year, Samsung’s have declined, as it “continued to face challenges in Asia and elsewhere”. Lenovo-Motorola held on to the number three spot, although its market share (and unit shipments) have slipped year-on-year. 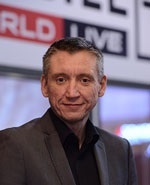 Woody Oh, director at Strategy Analytics, said: “Lenovo is facing competitive pressure in the high-growth China LTE category, while Motorola is struggling to expand in its core market of North America and its growth market of India”. Huawei shipped a “robust” 17.3 million smartphones for a 5 per cent share, expanding rapidly online in China and through retailers across Africa, enabling it to become “an emerging powerhouse in developing regions”. Global smartphone shipments increased by 21 per cent annually to reach 345 million, which, although strong, reflects slowed growth due to increasing penetration in major markets such as US, Europe and China.